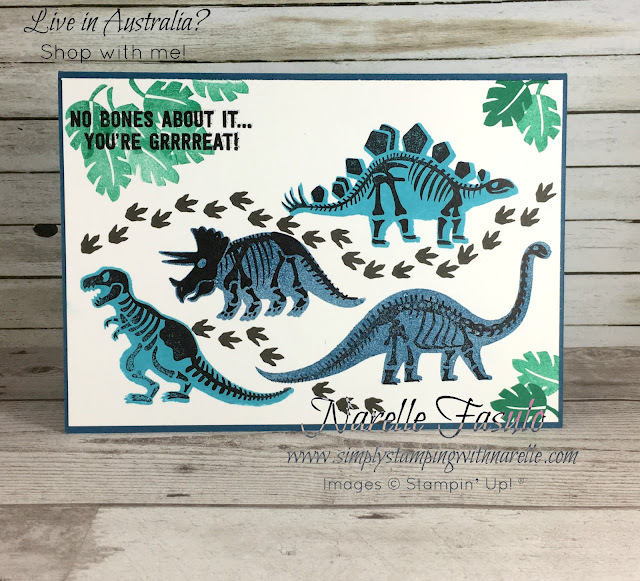 I am beyond excited to be involved in this blog hop today. Autism is a cause close to my heart as my teenage son has Autism. So when the opportunity came up to get the word out about this affliction and have an opportunity to create awareness and gather support for it, I just had to get involved. Today you will be treated to a whole load of lovely inspiration. 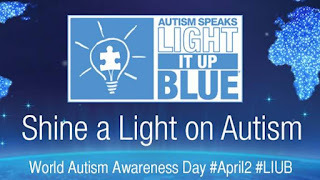 All inspired by the world wide Autism symbols of the puzzle piece, light bulb and the colour blue. Today is World Autism Day and April is World Autism month. I have some links at the bottom if you would like to know more. But for now, here is the project I made to honour my son and his condition. He is a teenager now, but when he was younger he had a big book of dinosaurs that we would read to him every night. Now that you have seen my creation, work your way through the list below to see what everyone has created. The eleventh annual World Autism Awareness Day is April 2, 2018. Living with Autism is challenging for the individual and their family. So many things you take for granted are pure hell for someone with Autism. Take for example a simple trip to the supermarket. For you and me it is just a part of normal life. But for the person with Autism there is a whole range of issues - the fluorescent lights which flicker, the music, the smells from the delicatessen, the beeps of the scanners, the smells from peoples perfume and deodorants, and the list goes on. No one knows why some people have Autism and others don't, they don't know what causes it and they don't know how to cure it. We only can treat the symptoms, alter environments and raise awareness. It is made more difficult when every person with Autism is different. That is why research is a must, so we can make a difference. My son was diagnosed in senior primary school. He was very lucky to gain a placement in an Aspect unit for high school. This meant he could go to a normal school with specialist Autism trained aides beside him. It made the world of difference to him. He blossomed and started achieving in school like we could only dream about prior. So I would like to add here a little plug for Autism Spectrum Australia. Without their support throughout high school, we have no idea where my son would be today. I would also love it, if you could see it in your heart to make a small donation so they can carry on the valuable work they do. Glad to hear your daughter is making huge gains. It can be a challenge. Thanks for the kind words. Thanks for sharing your post. Hugs and I love your little dino card.